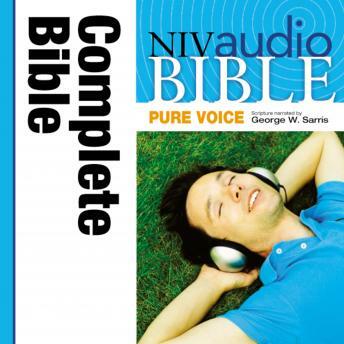 Listen to "Pure Voice Audio Bible - New International Version, NIV (Narrated by George W. Sarris): Complete Bible" on your iOS and Android device. This is more than a Bible you listen to; it's an experience that helps you enter God's Word ... so God's Word can enter you. Narrated by George Sarris, a well-known spokesperson for several Fortune 500 companies and a talented communicator, this audio edition of the complete Bible in the beloved New International Version (NIV) will reignite your passion for the Word of God.